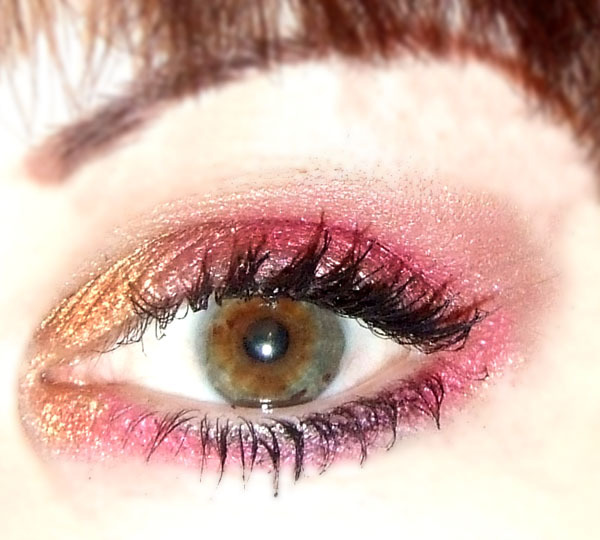 Sannah used two of our new eyeshadows, from the Queen Street collection. A collection that celebrates all the fun shops we had around us when we were there too (*sniff*). The new pink shade Coupe Bizarre was applied all over the eyelid and up in the crease, as well as along the lower lash line. 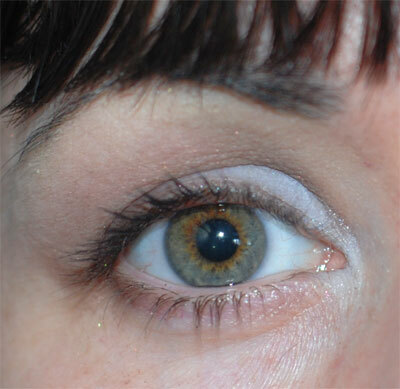 Then she used the bronze/coppery Lowon Pope on the inner corner of her eye, both above and below. Apply Mummer to the crease and the entire outer half of the eyelid (Use a soft tapered brush for the crease and a flat or round brush for the outer lid). 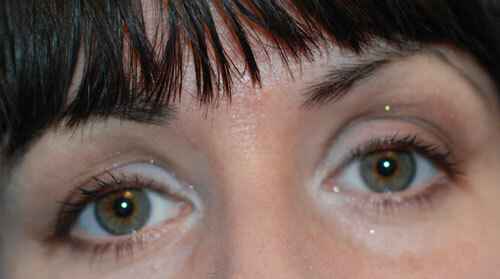 Next, apply Skylarkin’ to the inner eyelid (any small brush, flat or round, not too soft). 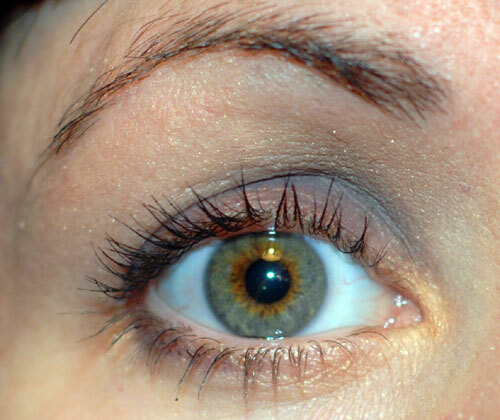 I love blues and greys against brown eyes, especially if the eyes are coppery brown. 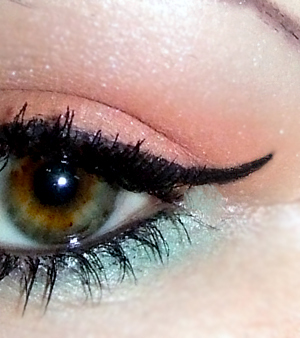 Also, throw a tiny dab of skylarkin’ right into the inner corner of the eye, top and bottom. Then, highlight the brow bone with a bit of nish, and overlap the mummer in the crease with nish, so the two colors blend together where they meet. I usually fade out the crease color towards the brow bone, and I intentionally go a little too high with my crease color, because I know I will soften it later when I overlap with the brow highlight. It just helps to achieve a really gradual fade from one color to the next. Finally, apply a very dark brown (like Buck) as eyeliner, but make the line as thin as possible, while trying to also make the line very intense and sharp. Obviously a very fine angled brush is best, because you can ‘dab and wiggle’ the brush and get the eyeliner right between the lashes! The effect is that the lashes appear very thick and full at the base but it doesn’t really look like eyeliner. Now, a nice firm pointy eyeliner brush will also do (for wet application only! ), but I prefer the angled brush. It’s a preference thing really. Line the top and bottom of the eye, but don’t go all the way in to the inner corner, and slightly extend the line on the outer corner. Finish with black mascara and voila, the eyes are done! For lips and cheeks, I would keep everything pretty soft, to maintain the focus on the eyes. I think the overall color palette is slightly cool toned because of the icy blue skylarkin’ so I would say soft pinks or plums or pale neutrals on the lips, and avoid orangey or coral or peachy colors. I cannot live without this product. Sometimes I add a drop of Pure Balance and just relax in the tub with the oil on my skin. I had to try this of course, even though it was slightly less glamorous than what Michelle described! While I was watching Klara take a bath I added a drop of Pure Wisdom to about one teaspoon of Deep Cleansing Oil and massaged it in for several minutes, paying particular attention to areas that are prone to blackheads. Then I dipped a wash cloth in Klara’s bath water, prayed that she hadn’t peed in it, and wiped/massaged away the oil. I followed up with the Raspberry Exfoliating Toner, a couple of squirts of Miss Fix-It (I love the Neroli scent, and I find the serum spreads easier on damp skin) and then massaged in a couple of drops of the Golden Olive Serum. My skin is glowing right now! 🙂 It feels great! I will most definitively do this again very soon! 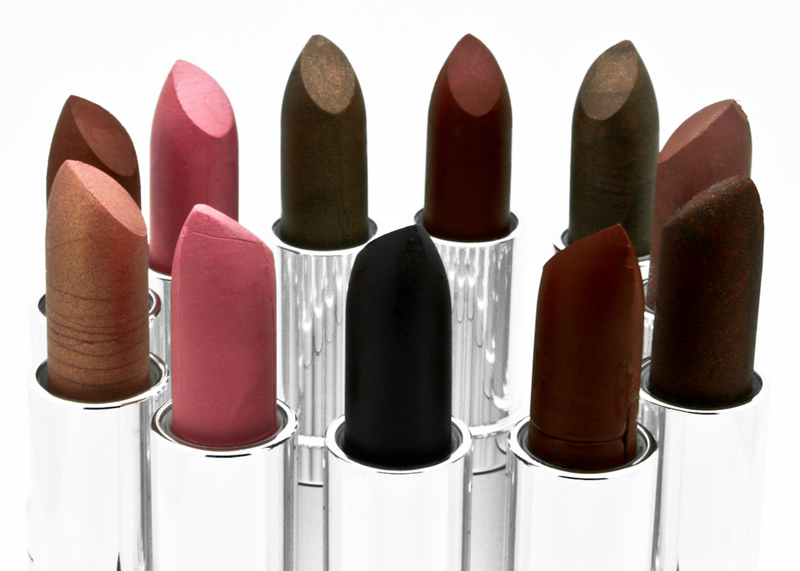 I am taking, and retaking, pictures of the lipsticks at the moment. (Not so) patiently waiting for a sunny day so I can get the most accurate colours. My friend Malin at Happy Fish Photography has already taken many fantastic group pictures, and I can’t wait to post them all to the website! 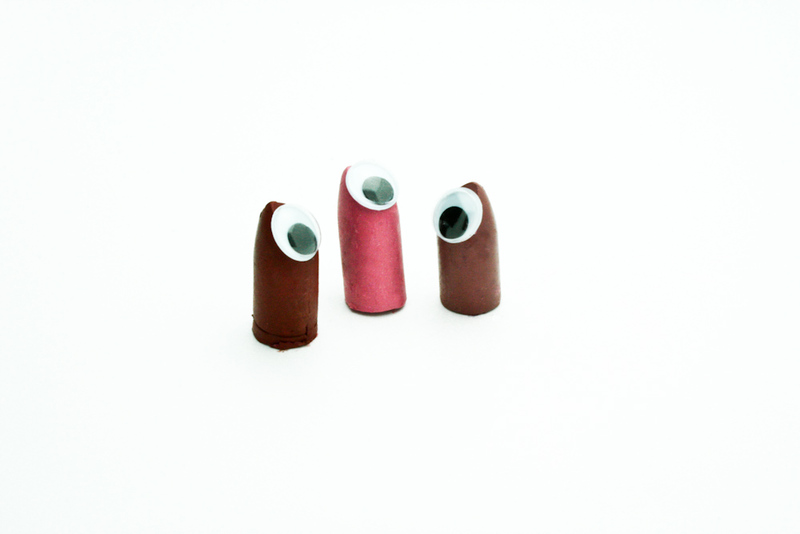 My favorite at the moment is Raspberry, a wonderful deep pink with a hint of golden sparkles. 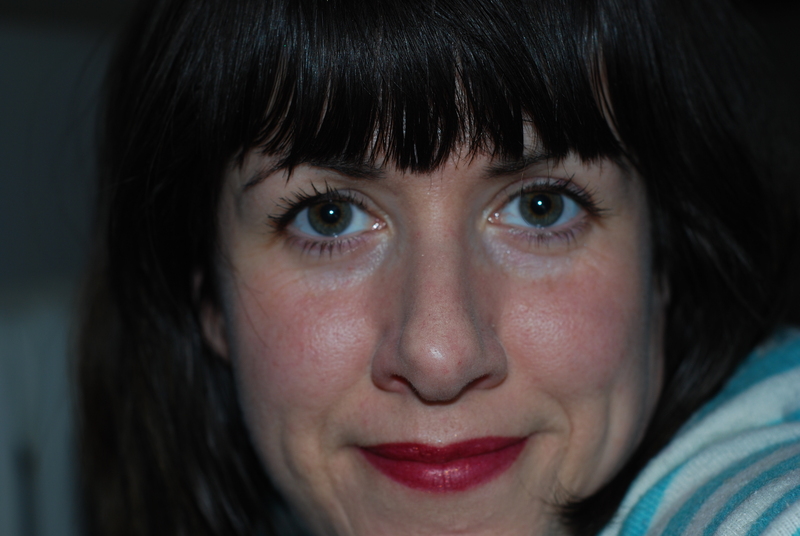 I love how just a quick swipe with a lipstick can brighten up your whole face (and day)! I’m so very excited! We just came up with the most fun contest EVER (ok, maybe not in the history of human kind.. but one of the most exciting contests we’ve ever had!). We are getting close to order number 4000, and the person who places this order will get her/his order entirely free! We give you all the products and we pay for shipping! Hurrah!! Now for the (not so) fine print: If you are the winner, you can’t make any additions to your order after you have placed it. And this contest is not open to wholesale orders, so if order no. 4000 is a wholesale order we will wait for the person who places order no. 4001. This week I’m trying a look with a gold and a purple. 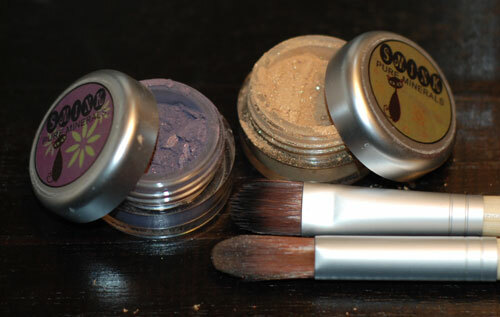 The gold is Gold Flurry, a very shimmery deep rich gold, and the purple is Oh Me Nerves!, a dark violet with copper shimmer. With a wet brush (the flat) I applied Oh Me Nerves! on the eye lid and the I used a dry brush (the round) to smudge the edges. I also smudged a little Oh Me Nerves! 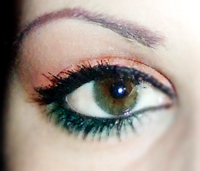 with the flat brush along the lower lash line. Then I applied Gold Flurry with the round brush from the crease and up towards the eye brow, a dab on the inner corner of the eye to brighten up, and lightly along the lower lash line. Let me know if there is a certain colour combo you want to see next week!